Barcelona and Sevilla, respectively the second- and fourth-placed teams in La Liga, are midway through what on paper should’ve been a tense, tough match. 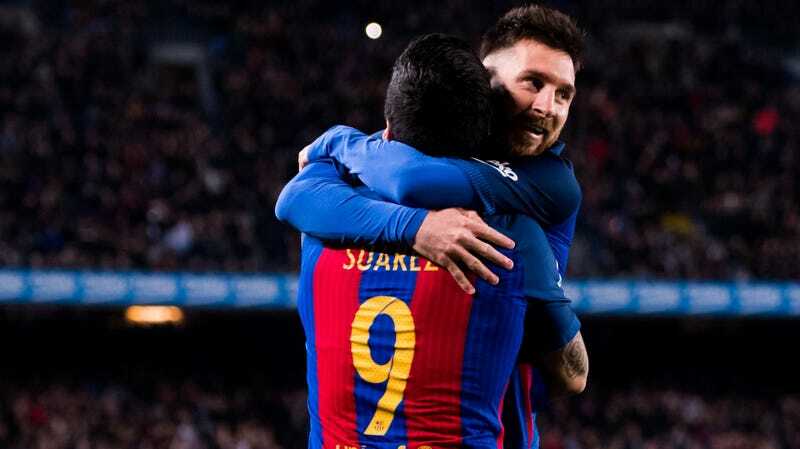 Only one of those teams has Lionel Messi and Luis Suárez, so it’s already a blowout thanks to those the genius of those two. Such an eagerly anticipated matchup and it’s already all but over at 3-0 at halftime. It’s truly unfair having these two and Neymar all on the same team.